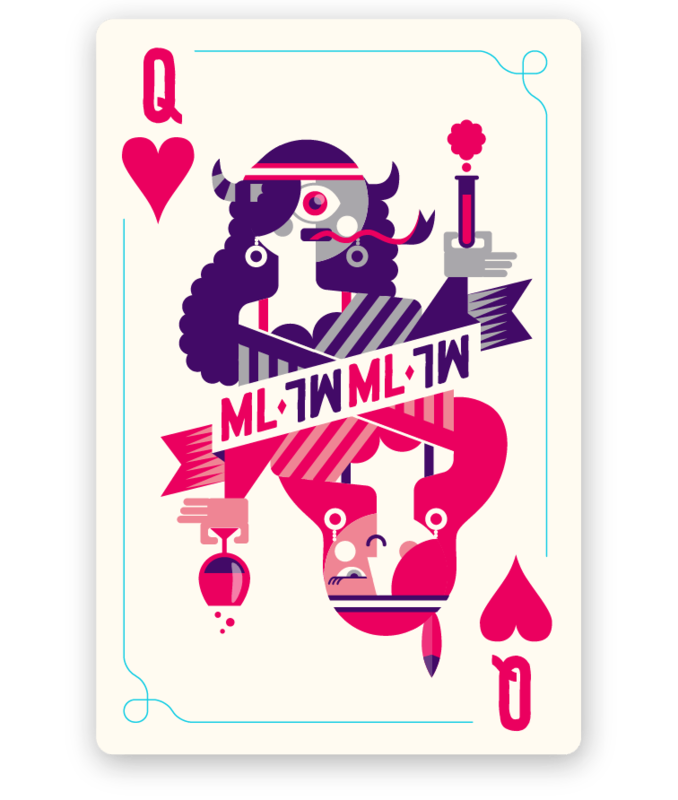 Mysteryland Playing Cards (by Patswerk) We designed a deck of playing cards for Mysteryland festival. The card were used on the USA and Dutch mainstage. Posted on 25/06/2014 Categories AllTags cards, character, character design, characters, design, design blog, design news, double, festival, following all, following back, graphic design, illustration, jack, joker, king, mysteryland, playing, queen, skull, vectorLeave a comment on Mysteryland Playing Cards (by Patswerk) We designed a deck of playing cards for Mysteryland festival. The card were used on the USA and Dutch mainstage. Freespace Fest by Ken Lo.